After a two and a bit weeks of frantically moving forward, Julia will now be moving forwards in a slightly different direction, or possibly in the same direction, but doing a silly walk. Or wearing a slightly eccentric hat. Details aren’t clear, but be assured it will be different in some way. More real apparently, if that helps. 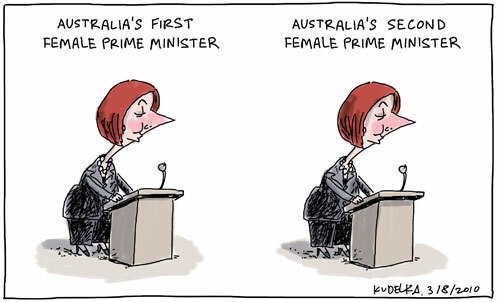 Maybe the difference is simply that she will be banging on a lot about how she’s doing things differently now. Anyway, expect the unexpected, though the unexpected may well be that things will remain substantially the same, which is actually what I expect, so in fact I don’t, if you follow.